Sweet studs for your little glamour girl. 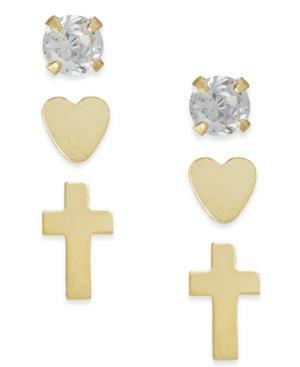 Featuring three pairs including cubic zirconias, hearts and crosses. Crafted in 14k gold. Approximate diameter: 1/10 inch.